Make your mech battle like a kung-fu master! A top hit in over 20 countries, Battle for Cydonia has had over 1 million downloads! The year is 2360, the battleground is Mars, and the war is between two factions competing for the right to colonize the red planet. Fighting for the resistance, you command the Datalus-5 – a mech capable of unprecedented agility and outfitted with a growing array of devastating weapons. Innovative touch responses puts you in control of the Datalus-5. Draw a path and watch your weapon of war follow your orders. Firing on multiple enemies? No problem. 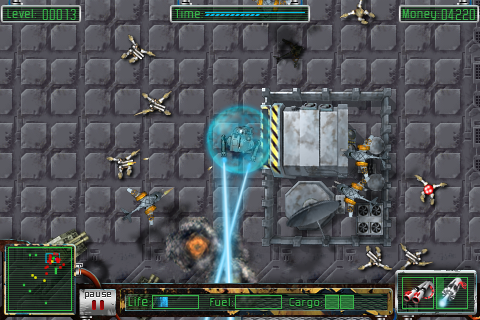 Using multi-touch, tap on multiple foes and aim your fire in multiple directions. 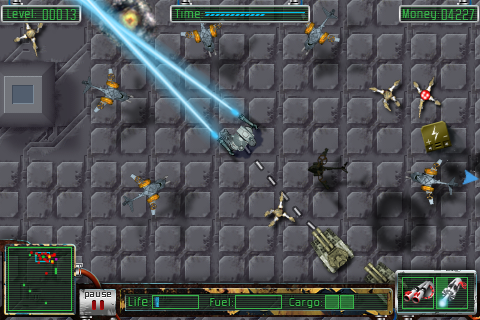 Even drag your finger across the screen to lay down a sheet of covering fire. Whatever it takes to defeat your enemy. 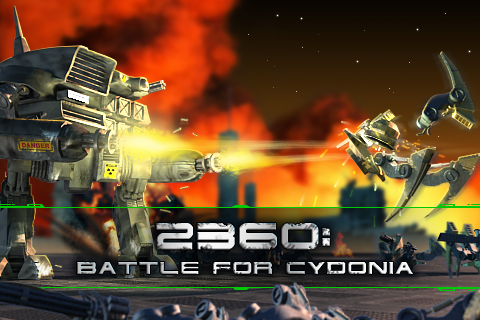 Crisp visual effects from lasers, missiles and other weapons combine with clear sound effects and a roaring sound track to make Battle for Cydonia an instant hit. Whether you’re new to gaming or a seasoned vet – Cydonia will challenge and impress you. 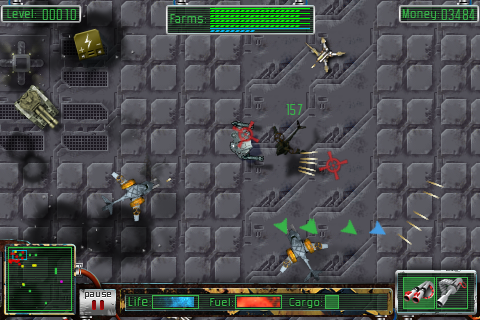 Multiple weapon configurations – Arm yourself for each battle. Fully customize your Datalus-5 with upgrades for Armor, Weapons and more! 3 Levels of Difficulty let you decide the intensity. 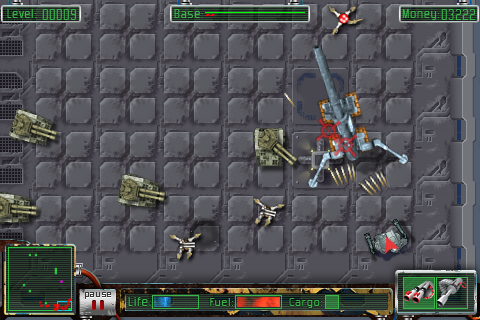 Numerous enemies, on land and in the air! Slamming sound track or listen to your own music (simply start it before you start the game). Unlimited play in Survival Mode. Open Feint integration with global leaderboards and achievements.